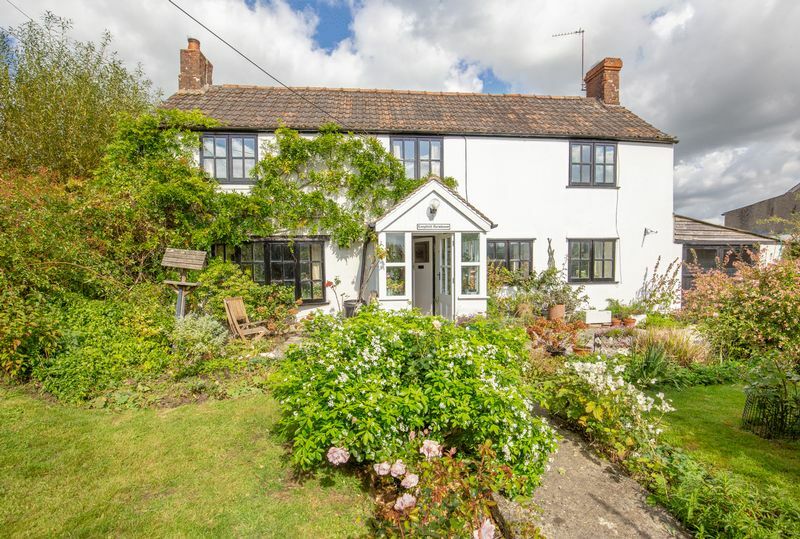 This four bedroom, detached former farmhouse would be an ideal home for anyone who loves rural living. 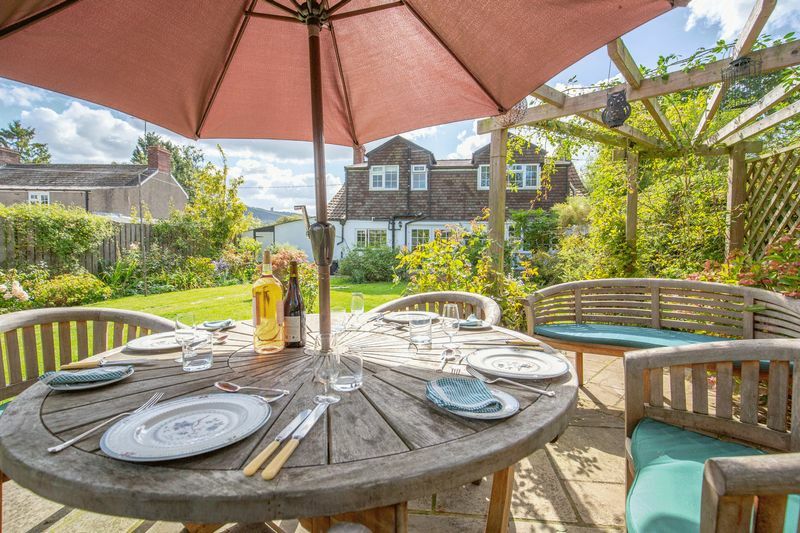 Sitting on the edge of the beautiful Stourhead estate and an area of outstanding natural beauty, Longfield Farmhouse is surrounded by fields and parkland, yet is still conveniently located for trips to the theatre and city life in Bath, Bristol, Salisbury and even London. 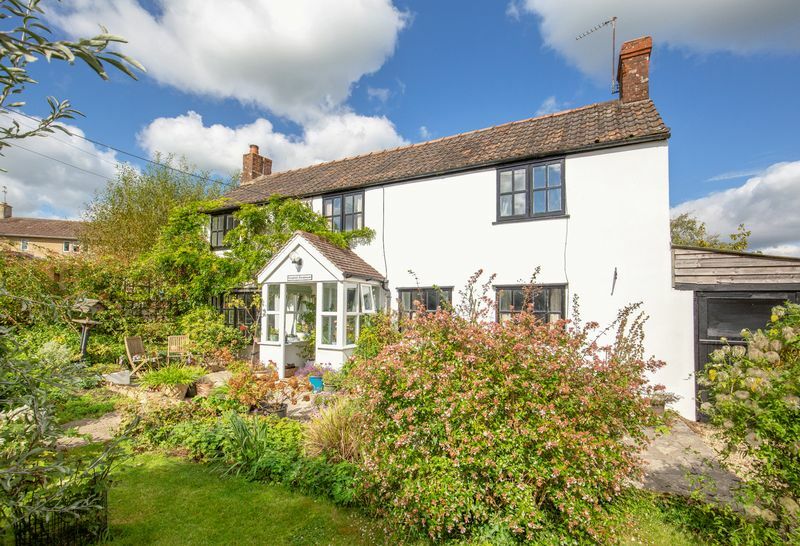 Longfield Farmhouse was originally two cottages built in the late 1700s and was extended in the 1950s. 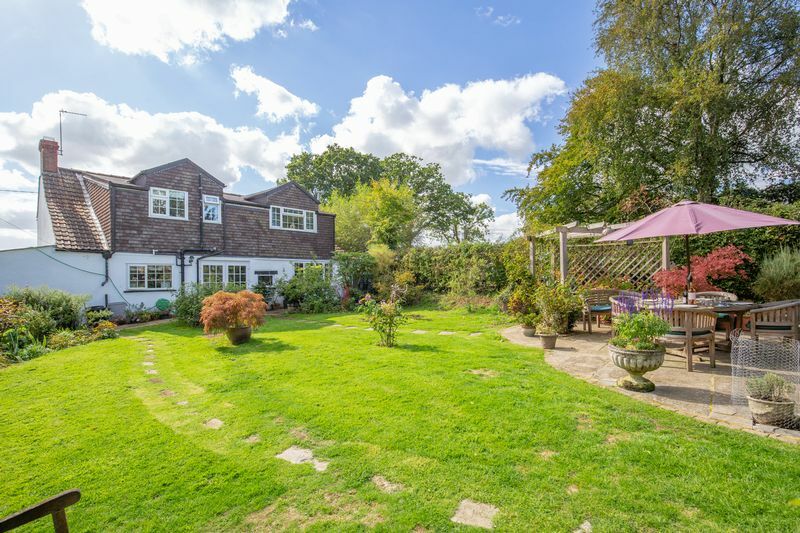 The house has been a happy family home for seventeen years for the current owners, who have carried out many improvement projects whilst living here, so that the house is currently in great shape. 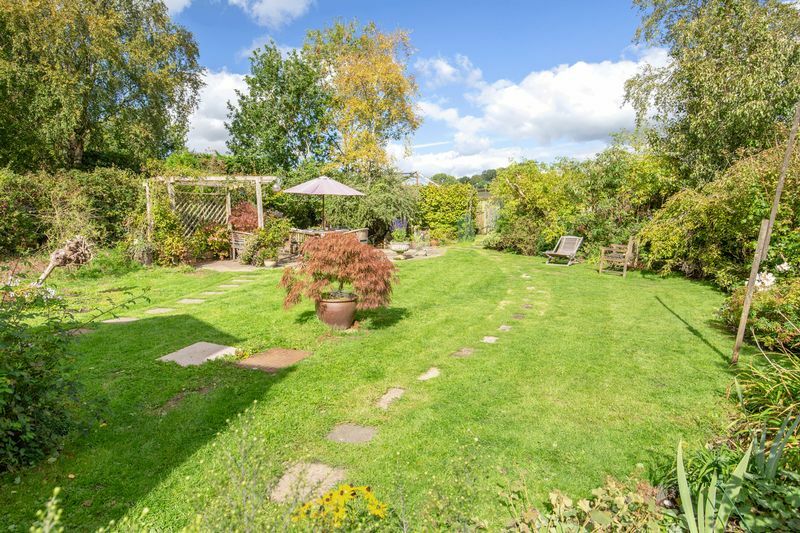 The front of the house is south facing, so the well stocked, enclosed garden is a lovely place to sit and enjoy a coffee whilst enjoying the views towards King Alfred’s Tower. 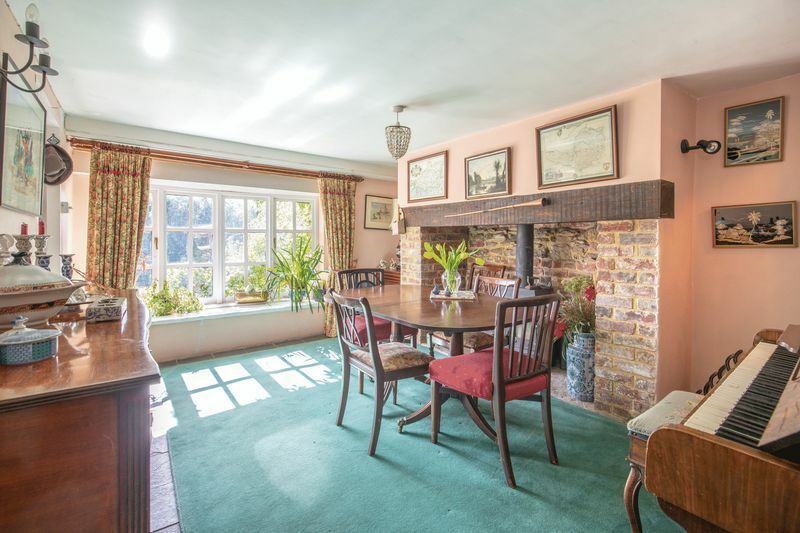 The dining room is a cosy room where a leisurely breakfast or morning coffee can be enjoyed with the sunshine streaming in through the lovely bow window. Both front reception room windows have been especially made to preserve the integrity of the appearance of the front of the house . In the winter the logburner in the inglenook fireplace does a magnificent job of of keeping the room cosy. The attractive but practical slate floor follows through into the dining room from the porch and hall. 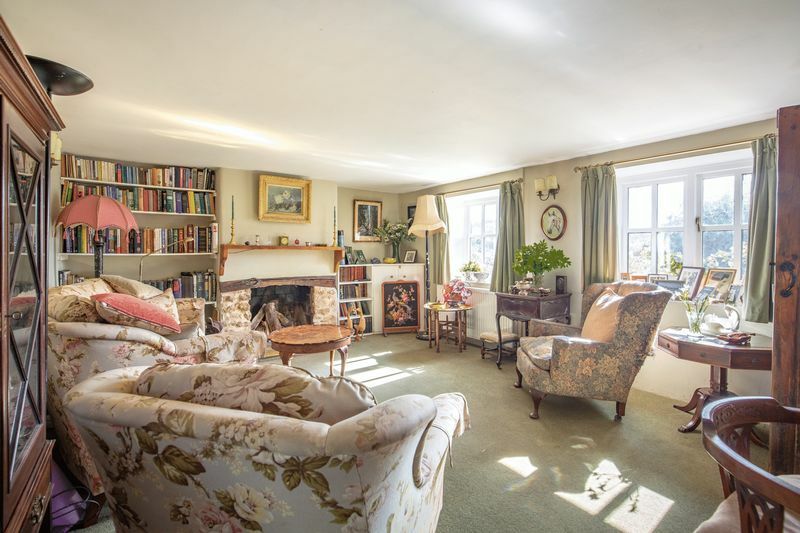 On the other side of the entrance hall is the welcoming sitting room, which has plenty of light and looks out over the colourful garden and the views beyond. 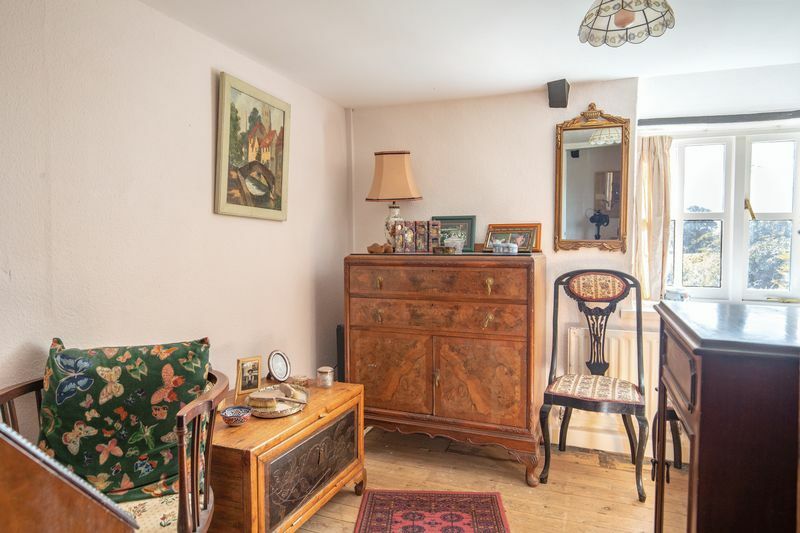 This room has an open fire in the stone fireplace which gives out enough heat that it is not usually necessary to turn on the radiator in this room which is fuelled by the oil central heating. 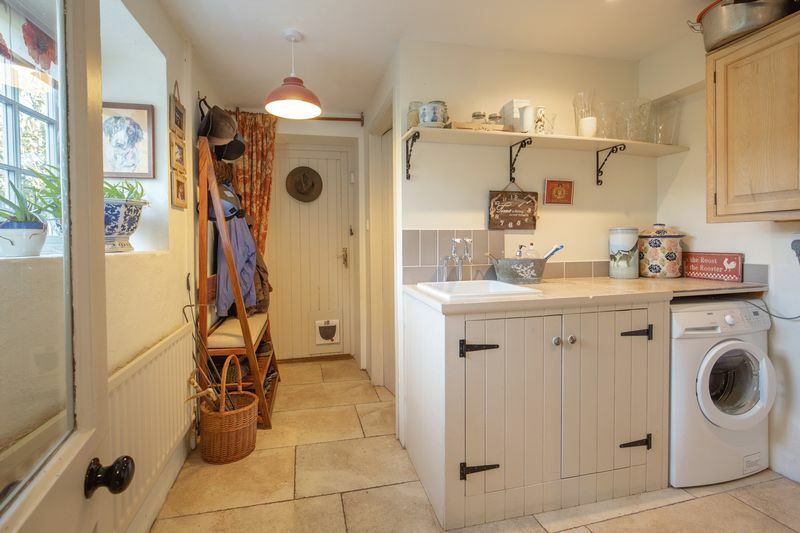 There is also access to a walk in understairs cupboard from the sitting room. 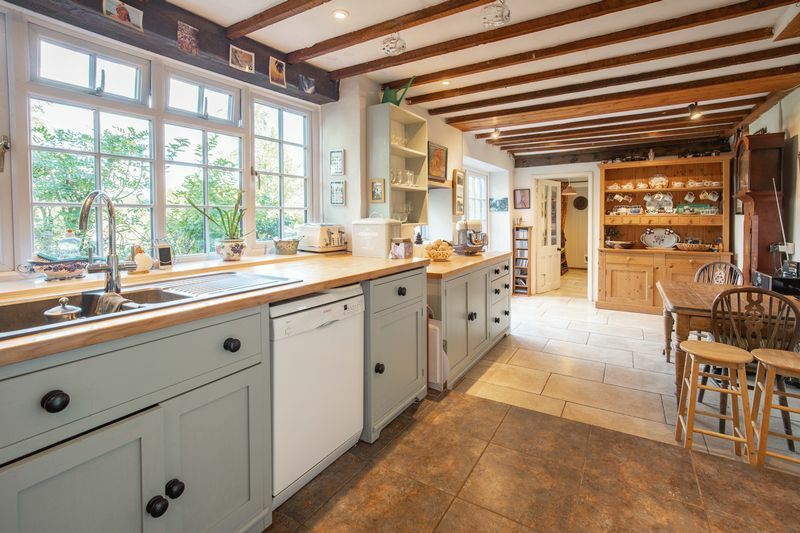 The kitchen, which runs across the back of the house, is the hub of the home. 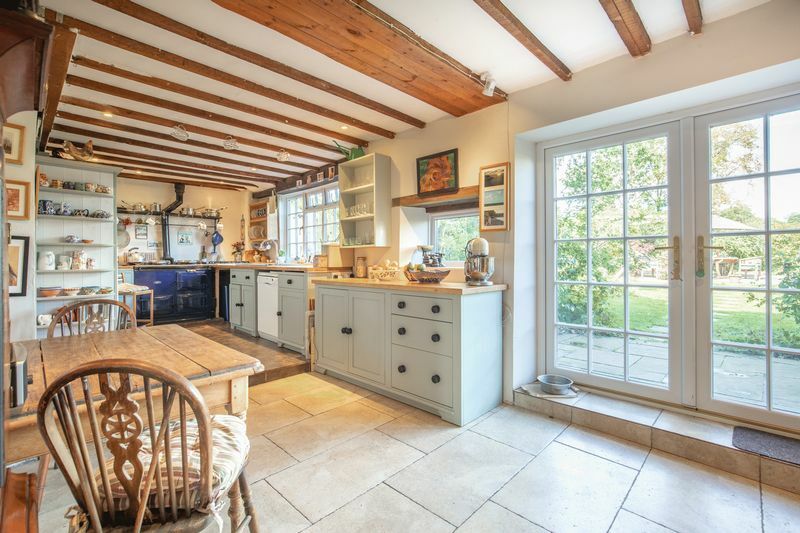 This room has seen a host of improvements, including the addition of bespoke kitchen units by Taylor Made of Frome topped off by a solid oak worksurface. Meals can be prepared in the oil fired Aga and/or on the gas hob (fuelled by gas cylinders). 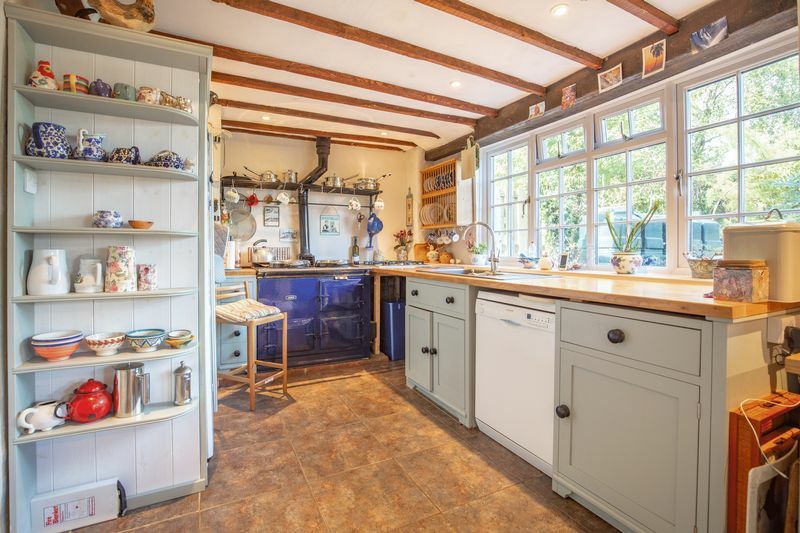 Heating and hot water are fuelled by oil central heating so that the power of the Aga is not diminished at all. The kitchen floor has high quality tiles and the breakfast area has a high quality glazed porcelain floor. In recent years a handy utility area and downstairs cloakroom have been added, as have double glazed patio doors leading out into the garden creating a really practical and useable space. 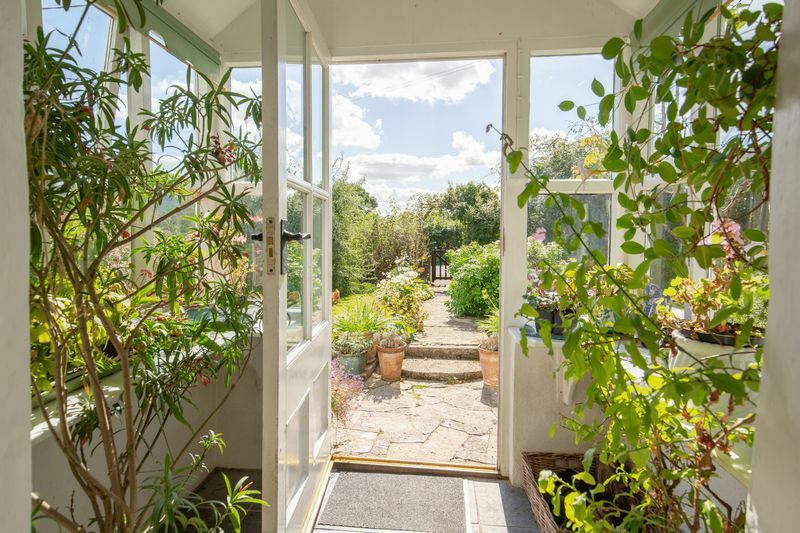 With a connecting door to the garage, it is especially invaluable when returning from long walks with children or dogs, or when coming in from a spell of gardening. Stairs lead up from the hallway to the first floor, where there are four good size bedrooms and a large family bathroom, with the potential to create an ensuite in the largest bedroom. The theme of great views continues in all of the bedrooms upstairs; three of them are at the front of the house where they catch the morning sun, and the largest bedroom and the bathroom have views over the rear of the house. 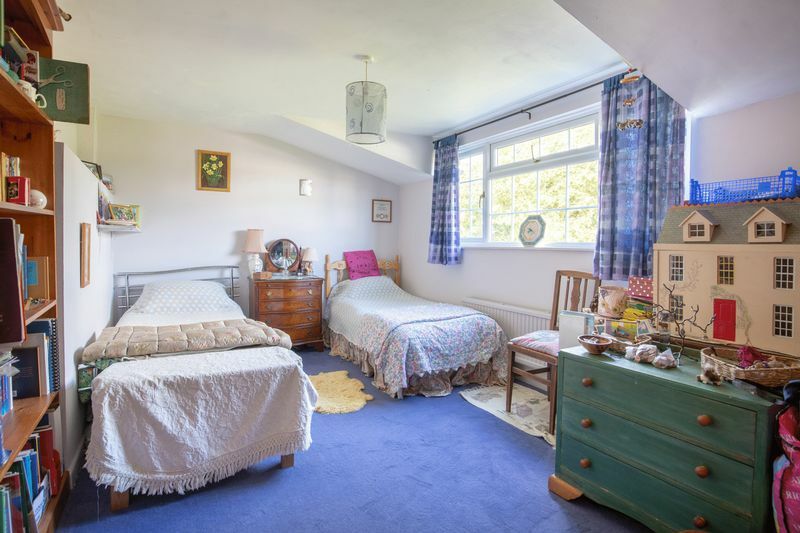 The bedroom which is currently used as the master bedroom has a wooden floor and a built in cupboard, and the airing cupboard is also located here. 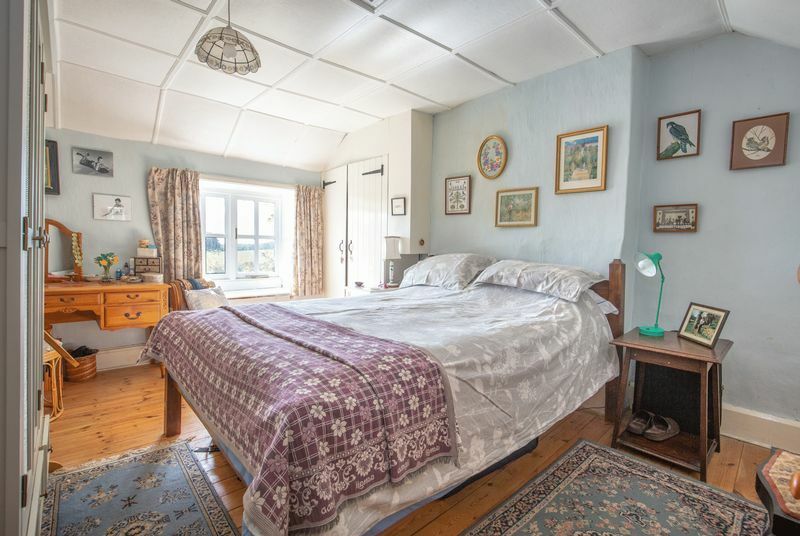 The middle bedroom at the front is an L shaped room best suited to a single bedroom, but has previously been used as a double room as well. The third bedroom at the front of the house is another double room. The largest bedroom is at the back of the house and next to it is the separate WC and then the family bathroom. There is huge potential here to reconfigure the existing bathroom to create an en-suite for the fourth bedroom to make a super master en-suite. 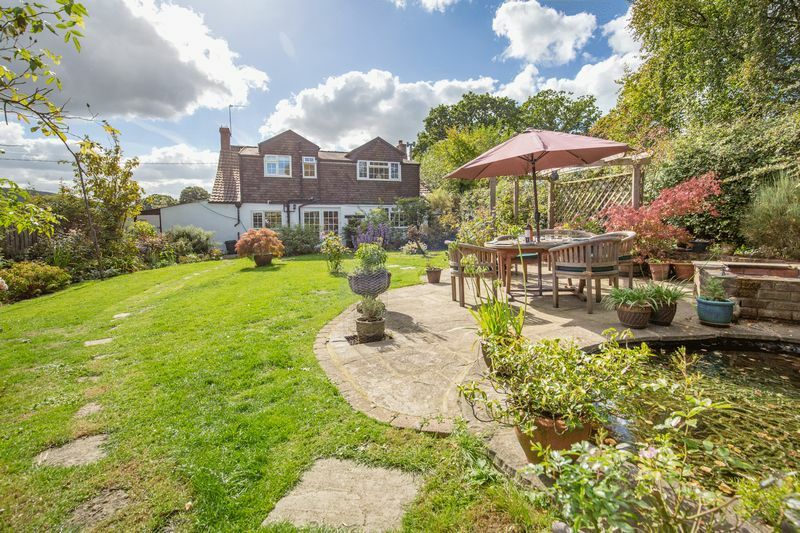 At the front of Longfield Farmhouse is a pretty front garden with mature shrubs and borders, and a gravel driveway with parking for two cars leads to the garage adjoining the house. 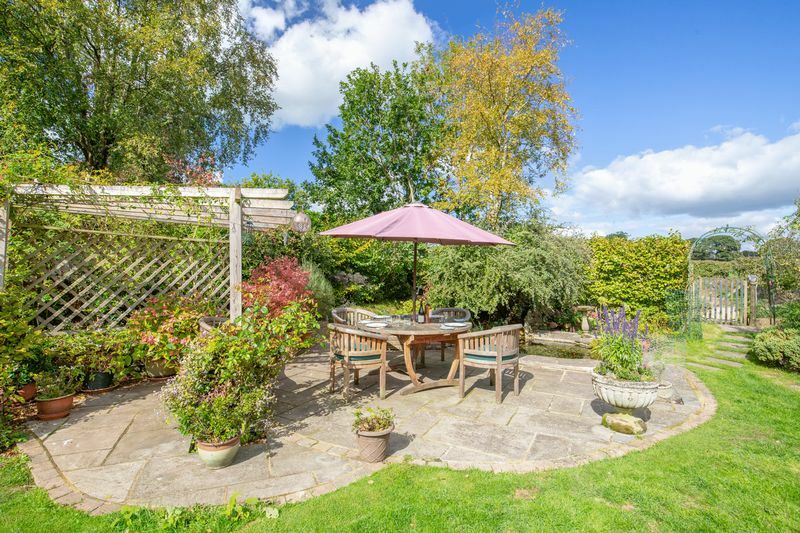 The rear garden is laid mainly to lawn but also features some mature shrubs and flowers in lovingly maintained borders. 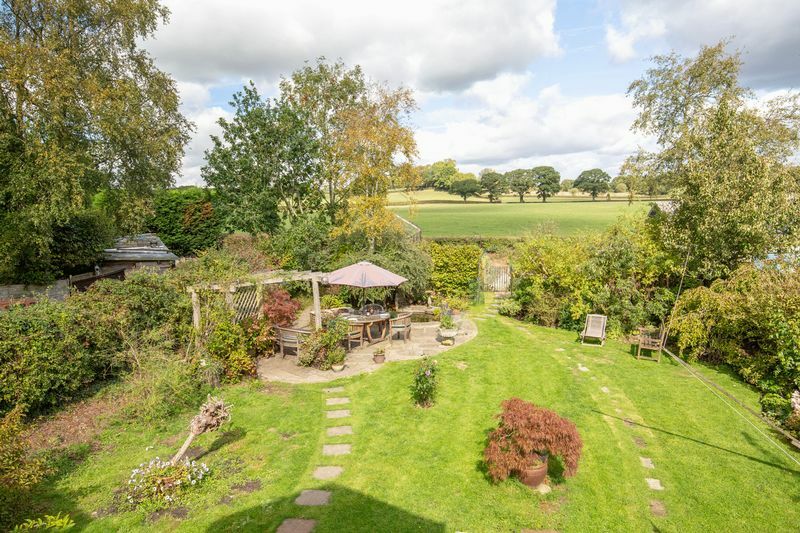 With a patio outside the kitchen door and a further seating area with a pergola at the end of the garden with views over the fields, there are lovely areas for relaxing and dining in the garden. A vegetable patch sits behind the garden, screened by hedges, where there is a hen run and house which currently provide a home for the owners' chickens. 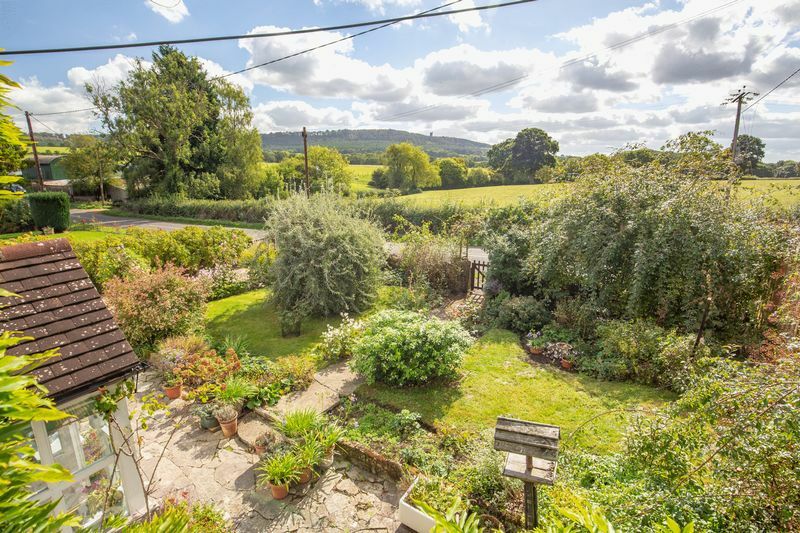 The community of North and South Brewham is 3 miles east of Bruton in the heart of the Somerset countryside, ideal for country walks and horse riding. It has a village hall which caters for village activities and clubs, and The Bull at Hardway is a popular pub in the area and the Old Red Lion is only a mile away . Bruton is a fashionable and popular town with several well-known restaurants, pubs and bars including “At the Chapel” and “The Roth Bar” at the world-renowned Hauser & Wirth Gallery. The town also has a doctor’s surgery, pharmacy, vet, post office, several mini supermarkets, fuel station and numerous independent shops. For further shopping, theatre trips and recreational activities, Bath, Bristol, Frome, Salisbury and Yeovil are all within an hour’s drive. The A303 provides a direct route to London via the M3 and there is a mainline rail service from Bruton to London Paddington (approx. 2 hours) and also the new train to Waterloo. Airports in Bristol and Exeter offer connections within the UK, Europe and beyond. Mains electricity and water, oil central heating and private drainage. From Bruton, head east on Brewham Road for about 4 miles. The house will be on the left hand side.